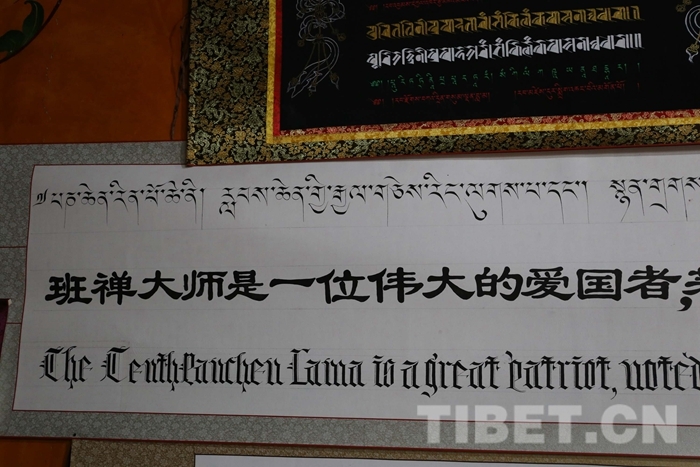 Recently，on the 30th anniversary of the 10th Panchen Erdeni's passing away, a calligraphy works collection and selection activity themed "Love the Country and Regilion, Protect the Nation and benefit the People" was held in Tashilhunpo Monastery, Shigatse, southwest China’s Tibet, to commemorate the great contributions of the master's safeguarding national unity and ethnic solidarity during his lifetime. 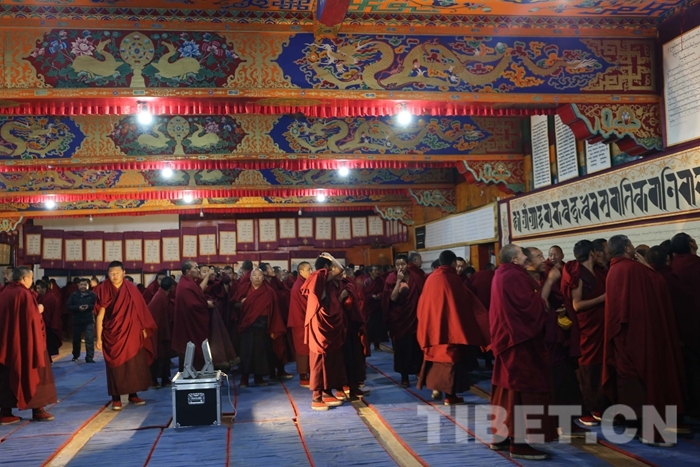 Photo shows monks are watching the calligraphy works. 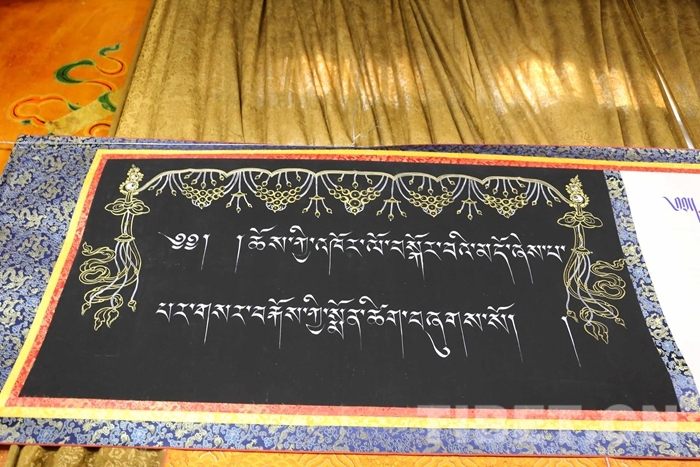 Photo shows the calligraphy works. 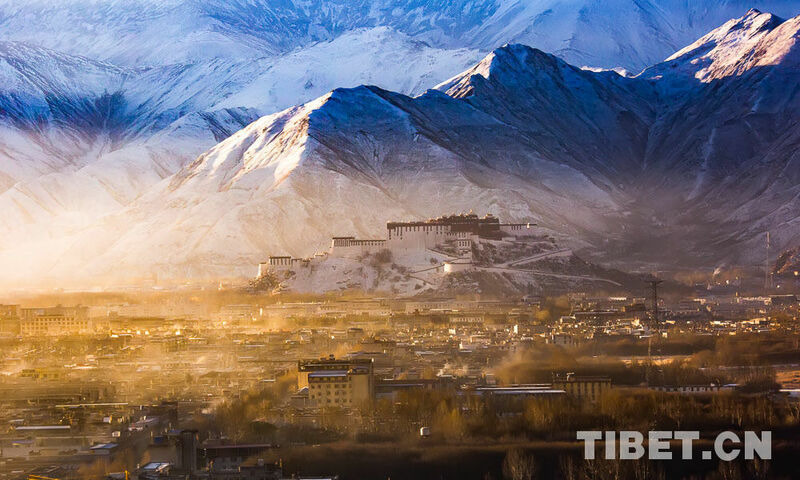 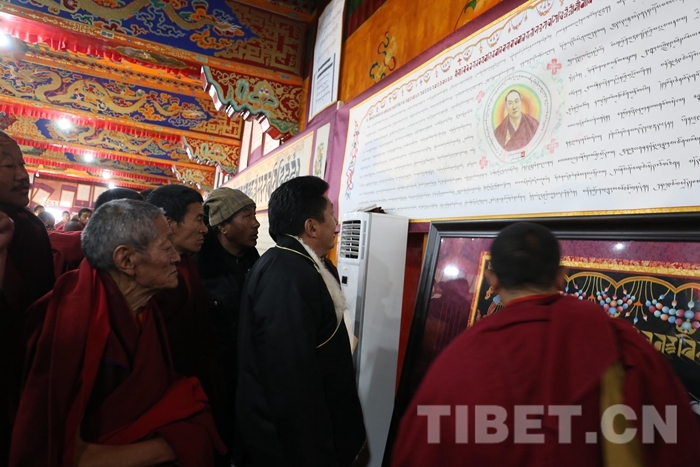 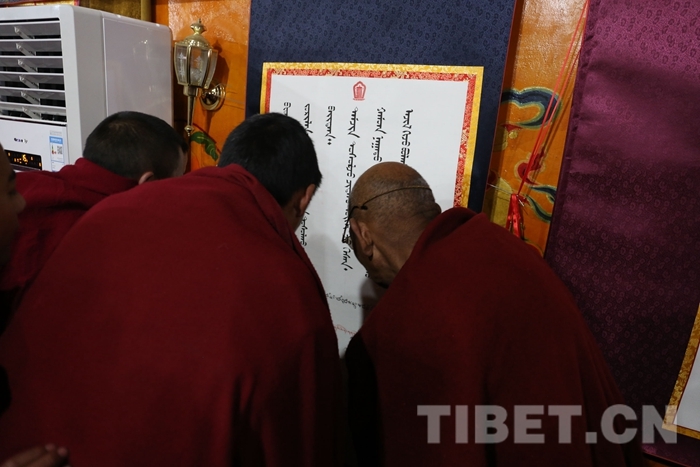 The activity has a total submissions of more than 80 pieces of calligraphy works featured various styles of the calligraphy including Tibetan language, Sanskrit, Chinese and English, which sincerely presents the true feelings of all monks in the temple to the 10th Panchen Lama.